Social media is a weird place. 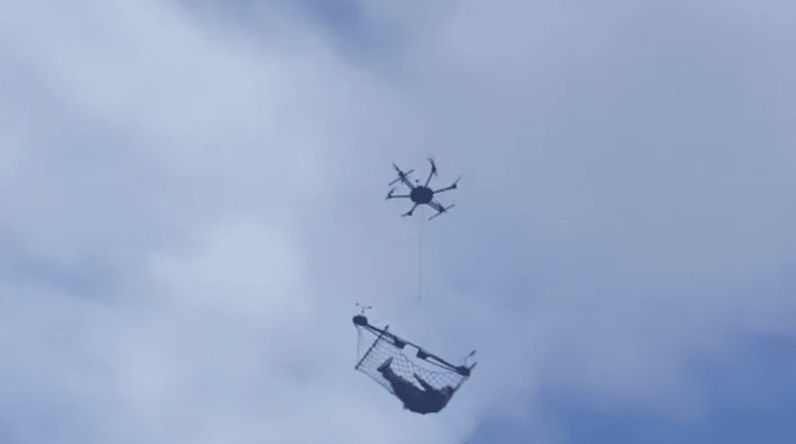 An April video that’s again making the rounds today appears to show a man hanging from a drone, and just sorta chilling mid-air in a hammock. Unfortunately, it’s not true. Residents of the Republic of Georgia — that’s the country, not the state — gathered in amazement as a man took two of our favorite activities (lounging in hammocks and flying drones) and combined them. The “man,” however, is actually a mannequin, and while the drone is real, it certainly doesn’t have the thrust needed to lift grown folks into the air. If it were true, however, this would certainly be how I spent most weeknights after a long day digging through the darkest recesses of the internet. It’s something we should also at least consider as a means to put misbehaving kids in the ultimate time out. Fake or not, we’re still pretty stoked that this could be reality one day. And if you’re looking for an actual human being flown around by a drone, look no further than YouTube sensation (and past TNW Conference speaker), Casey Neistat. Or we could drop the drone thing entirely and just appreciate Neistat wakeboarding through Amsterdam on his way to the event.